Geohazards comprise a subgroup of natural hazards associated with geotechnical, hydrotechnical, tectonic, snow and ice, and geochemical processes that can affect public safety, infrastructure and the environment. The Geohazards Committee (formerly the Landslide Committee) supports efforts leading to the technical competence and excellence of Canadian geotechnical and related geoscience professionals working in the field of geohazards. 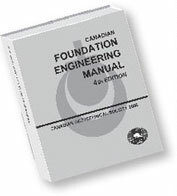 It contributes to the organization of Canadian geotechnical conference sessions on landslides and geohazards, the organization of national and international landslide and geohazard conferences, the development of national geohazards guidelines, and the maintenance of links with other related professional societies such as the Joint Technical Committee on Natural Slopes and Landslides (JTC 1). The Committee also collaborates with the Association of Environmental and Engineering Geologists (AEG) to award the Schuster Medal. The Schuster Medal is awarded to CGS and AEG members who have made a significant contribution to "Geohazards" research, practice and/or education. The Canadian Landslide Guidelines (technical guidelines and best practices related to landslides) were developed between 2010 and 2016 under the direction of the Geological Survey of Canada (GSC), with the support of the CGS Geohazards Committee, and by more than Canadian 50 landslide specialists. Please contact the chair of the Geohazards Committee if you have any comments or suggestions: Geohazards@cgs.ca.